This is a new idea for our web site. We would like to offer anyone who has documented their mustang restoration to send us there photos and we will create a gallery for your build. Soon to follow will be a blog where people can share their experiences and ideas with respce to restoration. 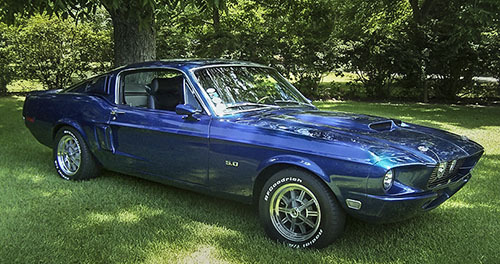 The first car to be entered into our Restoration Corner is Donnie Carlisle's 1968 Mustang restoration. You can watch this build and read Donnie's comments about the various steps. Feel free to email him any questions about the build. And when you are done with yours, send us your photos and we will post it in our galleries at Restoration Corner. If you have any questions about this or any part of our web site, please feel free to E-Mail.